It is often said that watercolor is a controlled accident, or as many watercolorists will tell you it’s more like an out-of-control accident. According to Michael Weymouth, the best way to keep things under control is careful planning, courage and the faith that all will turn out well. A good dose of patience, patience, patience is a must as well. Weymouth’s presentation will describe how he brings all these factors into play in his layered approach to watercolor. He paints both oils and watercolors, but his favorite is watercolor by far, mainly because it is so challenging and reflective of the spontaneity he feels is the signature of all artists. Michael Weymouth grew up in Maine and attended art school in Boston. After art school, he was faced with the decision to become a full-time painter or a graphic designer. He chose the latter route, believing he would find time to paint along the way, a goal that became ever more elusive as the years went by, and especially after he started Weymouth Design, a firm that eventually grew to a 30-plus staff and with an office in San Francisco. Early on, Michael began shooting his own photos for the projects his firm designed and over time Weymouth Design became one of the leading annual report design firms in the country. Photography played a critical role in the firm’s success, and when he retired he published his first book, How Photography Can Make You a Better Painter, with the goal of helping painters use their digital cameras to create better painting resource photos. Michael followed the first book with Maine (Island Time) a book of his paintings and photos and poetry by Belfast, Maine poet Elizabeth Garber. 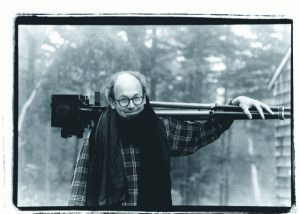 In the 90s, he built a wilderness camp in the Maine woods, where he shot many photos documenting his experience there, along with poetry that further expressed his connection to the natural world. This body of work was published in his third book, The Gentle Whisper of Living Things. Michael is now fully retired and pursuing his long-awaited career as a painter.